Our staff will take you to the most western tip of Bali to reach Gilimanuk ferry port for about 3 hours by a private car with AC then from Gilimanuk Harbor, We will take a ferry to cross Bali strait for about 1 hour to reach Ketapang ferry port of Banyuwangi in the most eastern tip of Java Island. On this trip, We will pass through the rural landscapes of West Bali. Lunch will be served at local restaurant on the way. Upon arrival in Ketapang ferry port then proceed for a short city tour in Banyuwangi. End of the afternoon drive up to Hotel for stay over night and having dinner before we can enjoy Ijen Crater Tours on next morning. 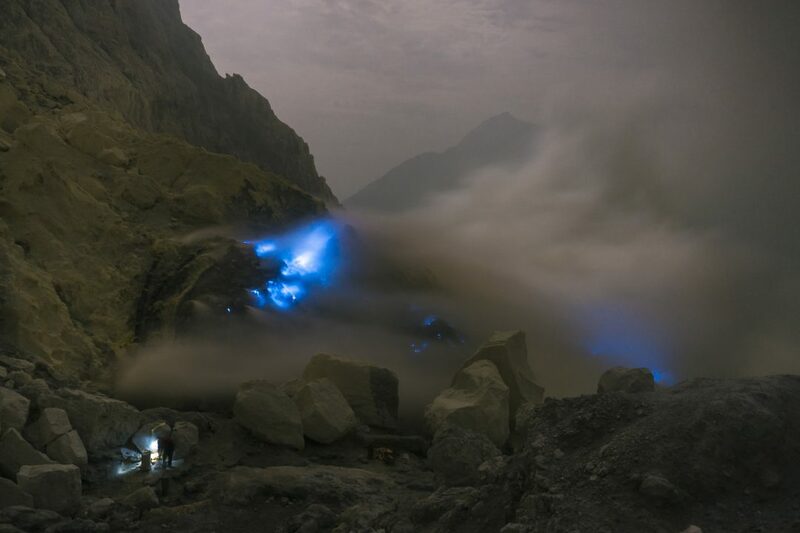 12.00 am wake-up call and having Breakfast, our Ijen Discovery vehicle will carry you to Ijen Crater. Lush vegetations, clove and coffee plantation precede the rainforest where humidity, wildlife, giant ferns and big trees cover this 2468 ha nature reserve. 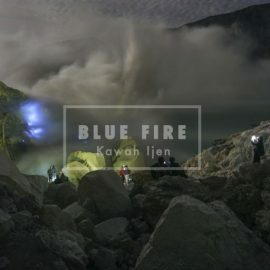 From the Park Ranger post starts the 90-minutes hike to Ijen Crater. The stunning unveils at 2383 meters altitude. The lake eerie color and smoke wafting from bright yellow sulfur deposits create the landscape desolate, barren and vibrantly alive. Sulfur miners emerge carrying up to 80 kilograms of ores in bamboo basket on their shoulders, climbing up along the treacherous path. After exploring Ijen Crater, We will drive down back to Banyuwangi Town, then directly drive to Mount Bromo area for about 4-5hours including stop on the way for having lunch at local restaurant. upon your arrival in Mt. Bromo area, you will stay at the Lava View Lodge or Bromo Cottages or Cemara Indah or Java Banana Hotel Bromo or similar where overlooking to the actives volcano of Mount Bromo, Batok and Mount Kursi around Tengger region for your enjoyable stay. At 3 AM early morning the 4WD (JEEP) will bring you to the world’s most famous view point at Mount pananjakan on the rim of the Tengger caldera to see sunrise with its young volcanic including Mount Bromo and an active Mount Semeru in the back ground is breathtaking the play light shadow with sunrise reach Mountain succession from the top to the bottom and the usual fog of the caldera. Afterwards, the adventure be continued to an active Mount Bromo volcano. Then will take you back to the hotel for breakfast, take shower, packing, loading bags, to the vehicle then we will drive back to the Bali island.